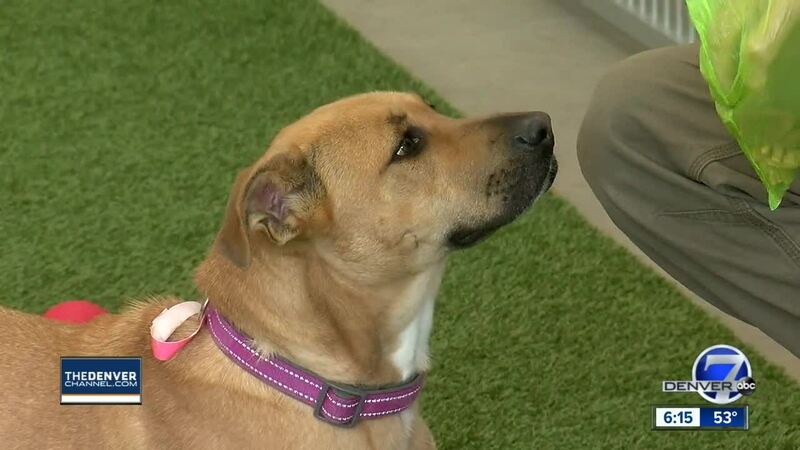 LOVELAND, Colo. — A Maine man on a cross-country road trip through Colorado found a dog on a hiking trail, took her to get treated at a local humane society, and eventually returned to adopt her as his own. “My purpose was to ski as much as I could,” said Matthew Glatz. Glatz, originally from Portland, Maine, decided to spend his winter in a truck camper driving across the country. Part of that journey included stopping to ski in Colorado, Utah and Wyoming. He visited friends and family along the way. In January, he happened across a hiking trail in Poudre Canyon in Northern Colorado. “I got about 200 (or) 300 yards up a trail head and found a dog,” he said. The dog was malnourished and scared. Glatz took her to Colorado State University’s teaching hospital, who brought the dog to the Larimer Humane Society. The dog, named Amelia, spent a month at the humane society getting treated and rehabbed. She was microchipped and an owner was located, but they had moved, and Amelia needed a home. “I knew they’d call me when she was ready, and when she was ready, I’d make the drive,” Glatz said. He said he would adopt her. He was still on his roadtrip at the time, but once he got notification that she was ready for adoption, he drove about 1,100 miles from California to Loveland for the reunion. “We’re about to start an adventure together,” he said to the dog at their reunion. A friend of Glatz started a GoFundMe to pay for continued heartworm treatments for Amelia. So far, the fund raised more than $1,500. The two plan on driving south through Texas and Louisiana, eventually ending back home in Maine. “It’s gonna be a long and lovely friendship I think,” Glatz said.